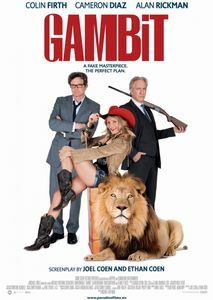 This is a great comedy, so I can recommend it to you! This movie starts with a reunion of five friends. They were friends in high school, but that was 20 years ago. Now, their lives are very different, and they plan to get together for a pub crawl. A pub crawl is when people visit a group of bars, having one or more drinks at each place. As the friends go on their pub crawl, they notice more and more strange things. This movie is better if I keep the plot a surprise, but I will say that the future of the planet Earth is in danger! But, it is a comedy, so don’t worry too much! Andrew: I haven’t had a drink for sixteen years, Gary. Gary: You must be thirsty, then. Of course, Gary is joking, but this phrase is very useful! That car must be expensive! 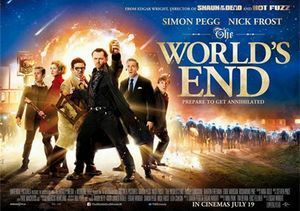 I hope you get a chance to see The World’s End. If you see it, let me know what you think!